As a fan of British television, especially programs from the 1960s & 1970s, I have been keeping my eye on what Simply Media has been outputting especially over the last couple of years. I have seen programs such as Softly, Softly: Taskforce, Doomwatch, Hugh and I, and Dr. Finlay’s Casebook get a DVD release. Pretty much all of the releases above, I would have never thought any of those would have received a release in a physical format. It’s great to be wrong about this sort of thing because Simply Media keeps putting out content that features some of the heyday of BBC production. Monday, July 03 sees the release of the first set of Charles Dickens classics all produced by the BBC. Three separate titles have been released for the first time on DVD and it has been a treat to watch these: Our Mutual Friend (1958), Great Expectations (1967) & Dombey And Son (1969). I guess what I am really pleased about with this set of releases is that these programs were not released on a streaming services but that we are able to own the physical discs. These are really special productions. I have never sought out anything Charles Dickens. I am not disinterested in his work at all and obviously I am well aware of A Christmas Carol. So I came to these with a very fresh perspective. I am not a big reader of Fiction. I generally turn my attention to the more factual when I do my reading. I tend to like my books as television adaptations. I am not sure if that makes me lazy or not. 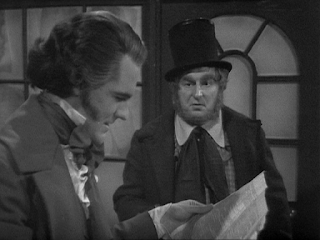 I am also a scholar (of sorts) of British television of the 1960s and 1970s. I am intrigued by how the programs were made, who produced them, who acted in them and how these programs were archived. I have no doubt in my mind that these are faithful adaptations of the programs. This is a Region 2 DVD only available from the UK and in the PAL format. To me, this is one of the most exciting release for a couple of reasons. 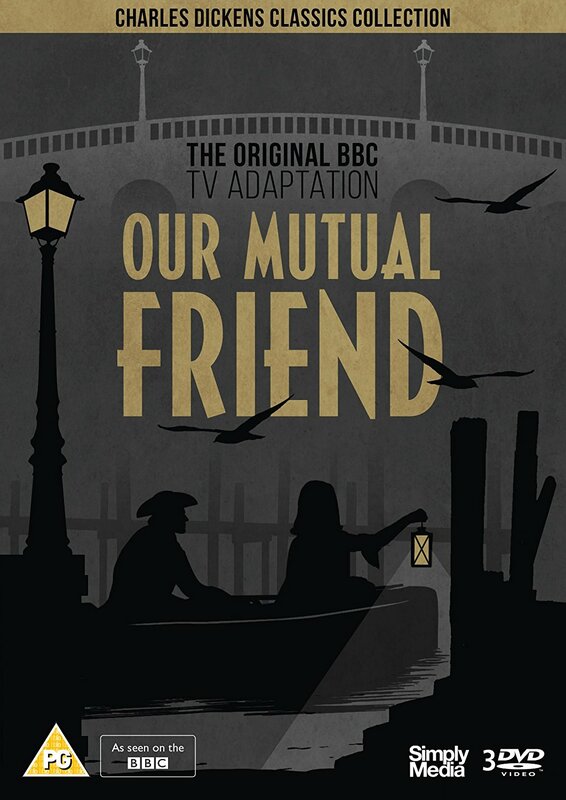 Our Mutual Friend is the oldest production of the three that have been released this month and I use trepidation when I say that because there is some viewers out there that equate old with “not good”. Let me tell you that is not the case. There is a thought that a lot of the output if BBC television in the 1950s were just plays that were televised and that changes when the likes of “The Quatermass serials” were produced or perhaps of people like Rudolph Cartier helmed productions. The reason I bring this up is to verify something like Our Mutual Friend is anything but a play on television. Taking up 12 parts and broadcasting into 1959, this serial is tremendously thorough with its story. It takes us to many locations and the characters are well fleshed out. The Dickens characters often feel like caricatures to me; they are slightly over the top but filled with life. Their intentions becoming very obvious normally from when we first meet them. A lot of times, someone learns a lesson. I think what surprised me the most about this serial (apart from that it all exists) are some of the cast who is in it. First and foremost, I was surprised by David McCallum who plays Eugene Wrayburn. He seems like a much more contemporary actor than someone who appears in a production from the 1950s. Amongst us British television fans, I am sure McCallum is mostly remembered for playing Steel in Sapphire & Steel in the 1970s or Illya Kuryakin in The Man from U.N.C.L.E. but is now seen on NCIS. He is now 83 years old and apparently is still going strong. Other names that leaped out at me was Rachel Gurney from Upstairs Downstairs and Wilfrid Brambell who played Mr. Dolls. 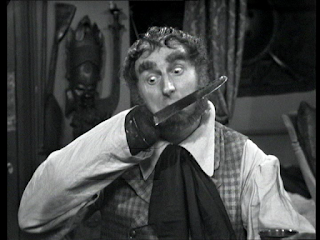 Brambell is well known for his iconic role as Albert Steptoe in Steptoe and Son. What I have found interesting in how many of these programs he turns up in during the 1950s. Just of ones that I have seen apart from this one, he is in the 1954 adaptation of Nineteen Eighty-Four and also in Quatermass II. Also seen in this is Barbara Lott, Melvyn Hayes and William Mervyn who I have always enjoyed in such series as Mr. Rose and All Gas & Gaiters. 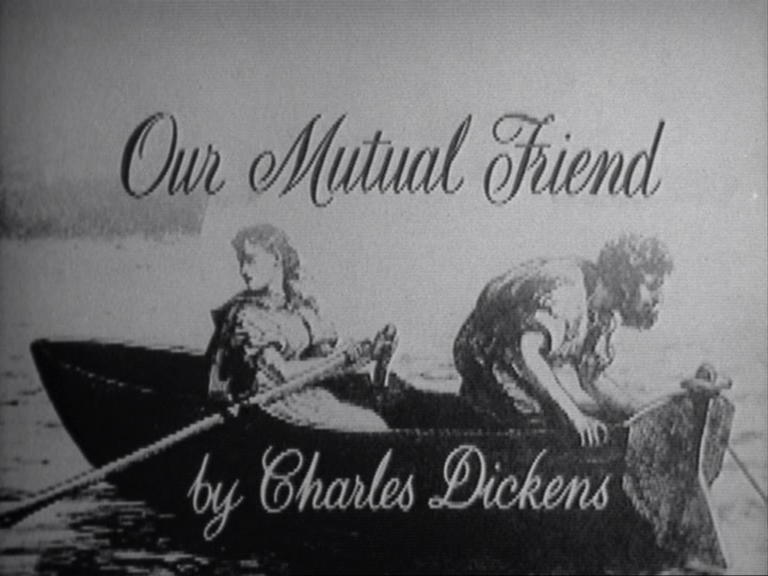 The overall production for Our Mutual Friend is sleek yet simple. Things like the opening credits are very simple yet engaging. I think it can be said for all of these productions, I am easily engaged with what is happening. As a live production it is not all studio bound as there is a great amount of pre-filmed sequences to not only keep the story moving but to allow a greater breathe of scope to the production. It has been fun to see how BBC production changes throughout a span of 10 years with these releases. The story of the growth and development of Pip Pirrip adapted by Hugh Leonard. 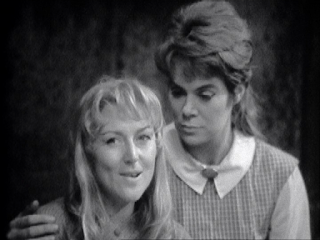 Produced in 1967, this to me, gives us a great example of how a series made in black & white really serves the production well rather than colour. This is a story that has some gritty moments. These are played out very well in this production. 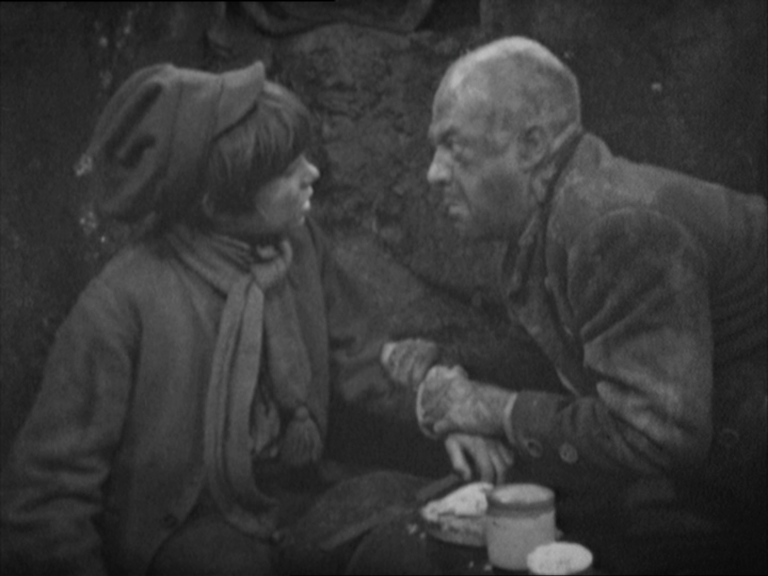 Just in the very beginning alone, Pip is accosted by escaped convict, Abel Magwitch. It is frightening and escape seems hopeless. 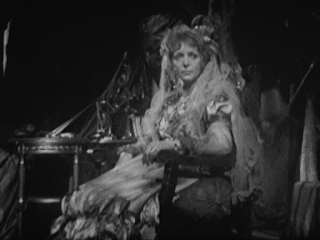 Of course, there is Miss Havisham whose story is tragic on a number of different levels. In fact, being the softy that I am who doesn’t always like watching some of this grittiness, I came to this production with some trepidation. What I found was a production with innovation without being too slick. 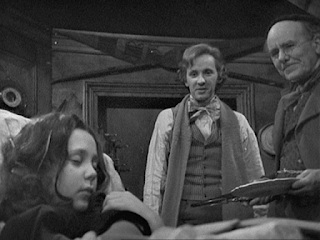 It’s still a BBC production of its time but there are a couple of things that really stood out for me. Like I said, some of the grittiness and violence. Violence done to other people. The sets are gritty, even the ones that feature Miss Havisham. She is older and a wealthy spinster but time has stood still for her and everything around her has sort of died. Even the dress she wears shows that there once was a better life to it. In fact, the first scene to feature her is her just her speaking from the other side of the room with the camera slowly dollying up to her. It makes an impact right away that she is someone important. Then we meet her adopted daughter Estella played by the beautiful Francesca Annis. She is a cold young lady who can be extremely harsh as we see when her and the younger Pip meet for the first time. 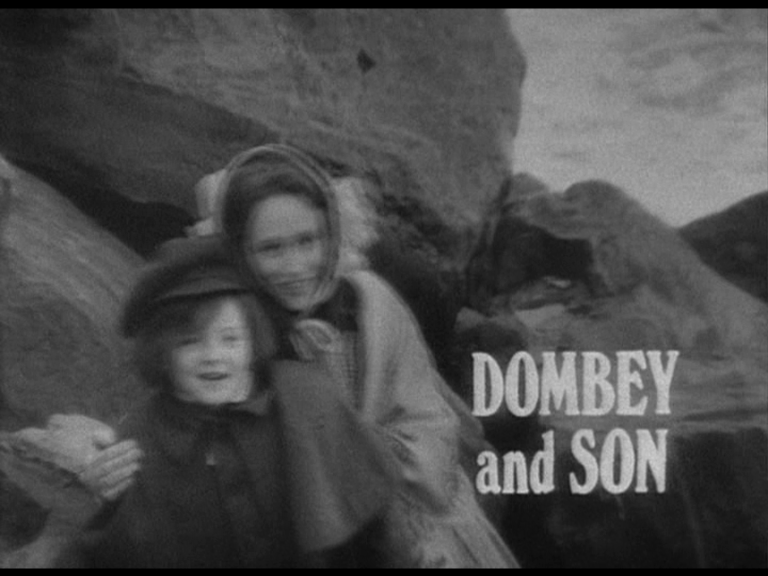 Speaking of gritty, the opening credits may be the most depressing and interesting that I have seen from the BBC. Once again, simple yet very memorable. One of things I love about these programs especially when we get to the mid to late 1960s are the cast that make it into the production. Simply Media’s one sheet about these programs will point out the better known cast but I like to point out the cast that are not as well known but have made a major impact on television in general. As I mentioned Francesca Annis who has been in many things but one that has always leaped out to me was when she played Lillie. Neil McCarthy played Joe Gargery, Pips Brothr-In-Law. Neil has turned up in many great programs. Basically think of all the great programs of the 1960s into 1970s such as The Saint, The Avengers, Danger Man, Doctor Who, etc and he would have made an appearance. I have enjoyed everything I have ever seen him in. Other notables in this production is Peter Vaughn, Richard O’Sullivan, Hannah Gordon, Bernard Hepton, and Kevin Stoney. Honestly, this is an outstanding production. It is very well-realised. 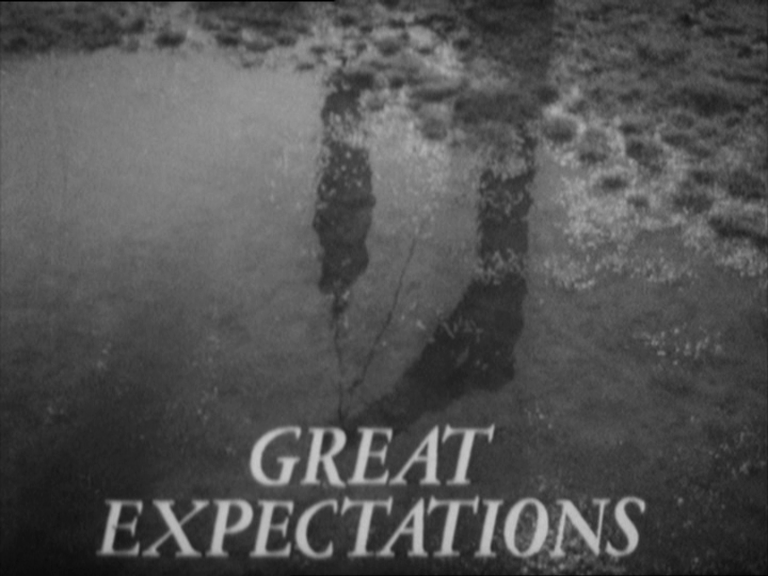 Just like Great Expectations, this is adapted by Hugh Leonard in 1969. 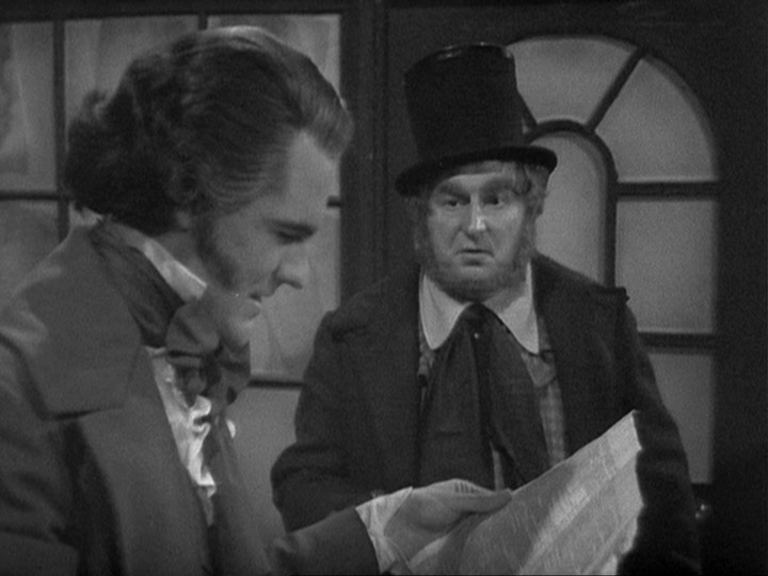 Paul Dombey is a wealthy owner of the shipping company called Dombey And Son whose dream is to have a son to continue his business. 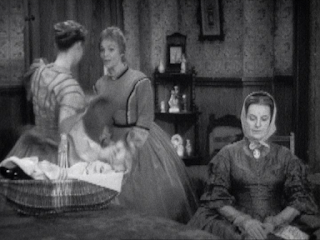 The story begins when his son is born, and Dombey's wife dies shortly after giving birth. 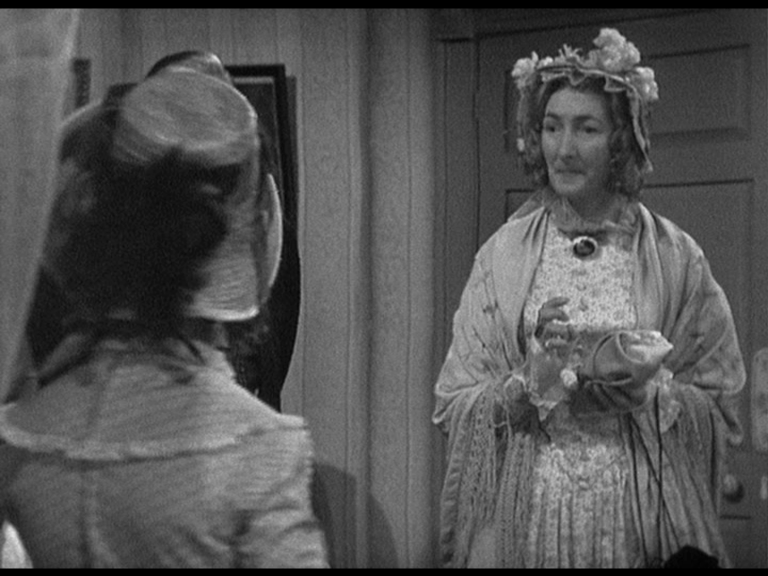 Following the advice of Mrs Louisa Chick, his sister, Dombey employs a wet nurse named Mrs Richards (Toodle). Never reading the book, this serial did not go the way I expected to from the very beginning. 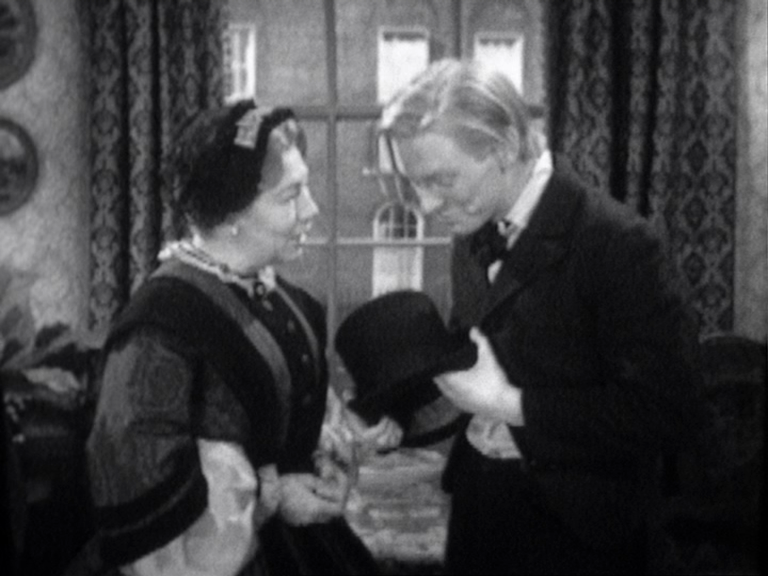 Paul Dombey starts off as a successful business man but is extremely flawed by his stubbornness of only acknowledging one of his children; the son he wants to take over his business and refuses to acknowledge his daughter who wants his love. That is a major mistake for him. One of the stories here is the journey of Paul Dombey and his eventual redemption. If you have not read the book or seen any version of this, I will not go any further into it. That being said, it is a very great serial that in terms of production takes us all over the place to create this world from a long time ago. 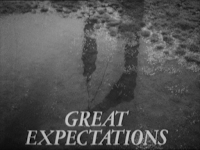 Not as gritty as Great Expectations it does take us into some Victorian seedy places. Once again, the opening credits are really interesting as it looks like one thing from the first episode but reveals to mean something different by the time we get to the later episodes. I think in all three productions in this grouping of releases have strong characters but some of the characters in Dombey And Son really are outstanding. 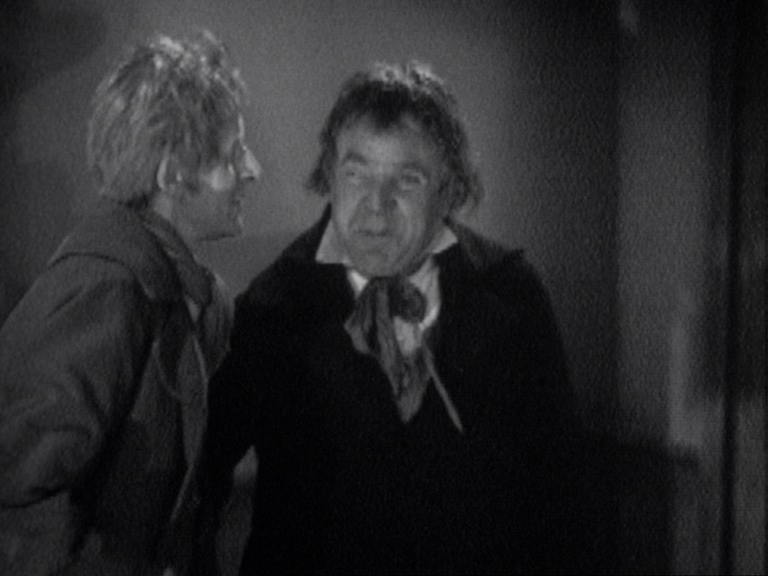 Possibly my favourite is Captain Cuttle played by William Moore is a blusterous personality who has a hook for one hand. 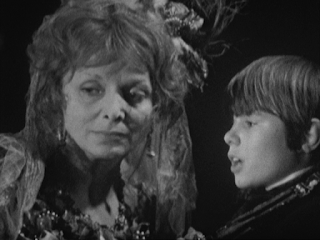 On the other end of the spectrum is Lucretia Tox played by Pat Coombs. Pat, in my opinion, is one of the most under appreciated actors of the 1960s and 1970s. She has appeared in so many programs such as Hancock’s Half Hour, Up Pompeii, Till Death Us Do Part and many more. She is outstanding in this and your attention immediately moves to her when she is on the screen. 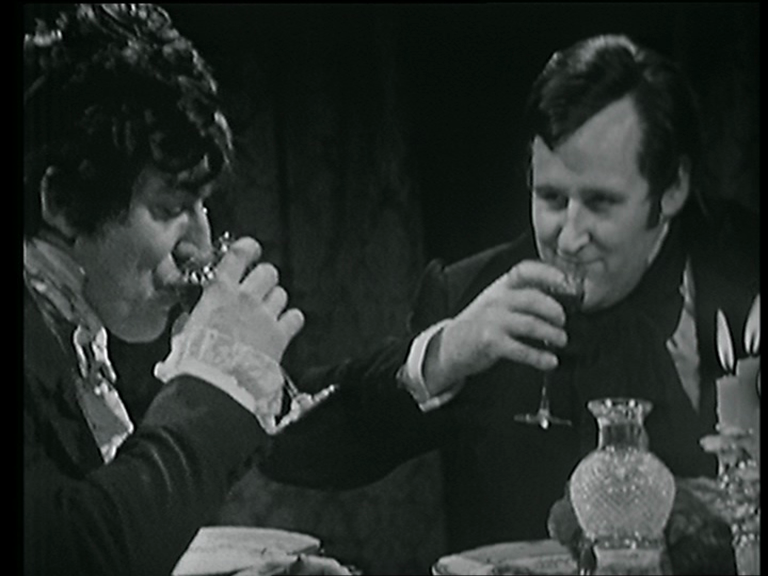 Also in this adaptation is John Carson, Gary Raymond, Clive Swift, Moris Fahri, and John Scott Martin. Of course Roland Pickering who plays young Master Paul Dombey looks as though he was born to play a child in a Charles Dickens production. These are fantastic discs. I think they work on multiple levels. The stories are very well realised and compelling. I think I would prefer these adaptations to anything made in later years. I think they are more realistic and in some cases they are filmed in some of the locations that would either have been around at the time the stories were written or what Dickens had in mind. So many of these old locations are long gone now but they weren’t in the 1960s. Plus just as a side note, I think the covers for all three of these releases are really stylish and stand out! The other level is one that I personally look at as someone who loves this type of television from the 1960s. I treasure the fact that these are being released. I fear that programs from this era will either be forgotten or just released as a streaming service at lesser quality. If you are a fan of Dickens work, these are a must for your collection. If you are a fan of drama made by the BBC in their heyday of producing outstanding television….this is also a must for your collection. These three discs (sold individually) are Highly Recommended. Who knows…..seeing that Simply Media released these three Dickens BBC productions including the wonderful 1958 Our Mutual Friend, perhaps they may be coaxed into releasing a set of Rudolph Cartier plays including one I really want to see in good quality, It’s Midnight, Dr. Scweitzer! My next DVD review for Simply Media will be The Prince of Denmark starring Ronnie Corbett and Rosemary Leach and I can’t wait to watch it! I am fascinated, no less than delighted, by the fact of these Dickens adaptations being released by Simply Media. And I cannot understand it. For decades I have longed to see, more lately to own in DVD form, the fine serializations of classic books which the Beeb did in the 1950s and'60s, also the many excellent accounts of great plays, ancient and modern, that the Corporation broadcast at that period. 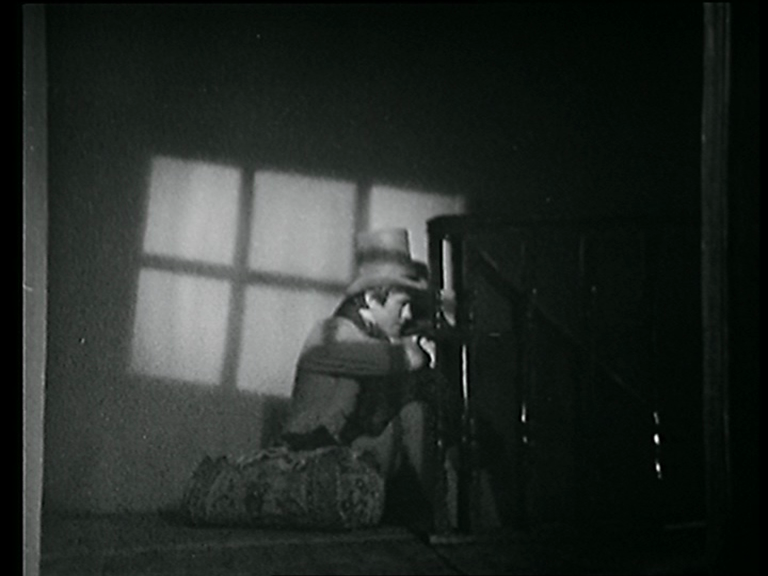 Yet whenever I enquired about the possibility of their being made available, I was told that copyright (at least in those days) was distributed among the various participants in the making of such programmes and therefore it would be hopelessly complicated, most onerously costly in time and labour, to find all the actors' and directors' and other crew members' heirs, administrators and assigns at this time of day (+/- 60 years later)and send each such individual their cheque for £3.89p or similar per annum in the event of the tapes of the programmes being restored, remastered and sold as DVDs to the general public. Has this copyright issue lately been resolved; in which case, can we now hope for many more such appearances of drama productions of the '50s and '60s?